For toddlers who love to be on the tools, we give you the ultimate tool set for any wannabe pint-sized tradie, personalised and all! 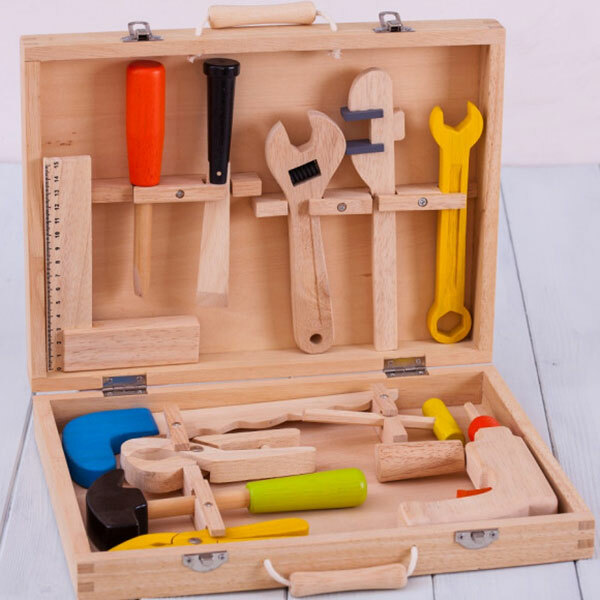 Whatever the tool for the job at hand is – a hammer, pliers, even a power drill – everything can be found here in this 13 piece toddler tool kit from Sleepyheads. A fantastic wooden play set for the tot who loves to tinker, there’s hours of fun to be had. Housed in a glorious wooden 37 x 27cm toolbox can be personalised with your child’s name or a sweet message if you prefer. Priced $118, you can order from Hard To Find and have it shipped for free.